It Friday, YAY! But it’s the final day of Science in Fiction week, boooo! We’ll just have to do it again some time. Last, but never least it’s the turn of the awesome Mr Croxall ,with his contribution on a subject that absolutely fascinates me. Take it away, Jack…. Because so much of our scientific understanding is far from complete, authors can take a scientific concept, and flesh it out however they want. In 1963 a physicist named Hugh Everett published a new theorem, The Many Worlds Interpretation of Quantum Mechanics. His radical new idea proposed that, thanks to some incredibly clever calculations and observations, our universe must surely not stand alone. In fact, Everett’s groundbreaking theory proposed that there are actually an infinite array of other universes existing parallel to the one we call home. Whilst the theory was criticised at the time, it has since gone on to gain a huge following with notable scientists likening the significance of Everett’s work to that of Einstein’s. Fast forward to 1995, when Philip Pullman, inspired by Everett’s work, published the first edition of His Dark Materials. The series takes place across an array of parallel worlds with the central duo being able to cut openings and travel between them. Now, Everett’s theorem says nothing about what any of these parallel worlds are actually like and so Pullman was able to imagine them however he wanted. Daemons, armoured bears, witches; all of Pullman’s sublime characters would not have been able to light up the world of fiction if Everett had not published his ideas thirty years beforehand. So, at a glance, it’s perhaps easy to think of science and fiction as poles apart but, in my experience, this is far from the reality. In fact, it was Pullman’s work which inspired me to start writing fiction and simultaneously helped fuel my love of science. Are Pullman’s ideas anywhere near the truth? Well, I don’t know. What I do know, however, is that our world is all the better for them. 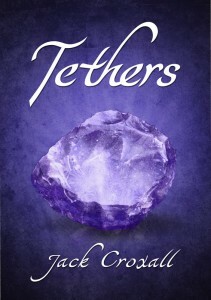 A YA Victorian fantasy, Jack Croxall’s debut novel, Tethers follows Karl and Esther as they become embroiled in a conspiracy engineered by treacherous Victorian scientists. The book is available through Amazon and you can find out more by visiting: www.jackcroxall.co.uk or the book’s GoodReads page. To the non-scientist, science can be scary. It’s a many headed creature, devious and cunning; what is once thought to be fact can be refuted years later, the search for the ultimate truth being full of pitfalls, twists and turns. Scientific experimentation is carried out largely behind closed doors and announcements about new discoveries often seem to be written in a language impossible to understand. Science is mysterious, secretive, and these elements provide excellent material for horror writers. Out of the Gothic genre, so popular in the eighteenth century, came a new breed of horror story: tales of the scientist and his mad schemes. The character of the crazed scientist has become synonymous with Frankenstein, arguably the first story of its kind, written by Mary Shelley in 1818. 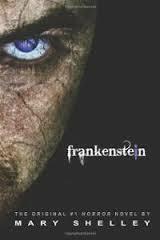 Victor Frankenstein, a student of medicine in Ingolstadt, becomes obsessed with the idea of creating life. He robs graves for parts, stops eating or speaking to his family and shuts himself up in his laboratory with his unearthly project. At the time of publication, all Europe was buzzing with newly-found static electricity, so wonderful it was rumoured to be the very essence of life. Public demonstrations were carried out by scientists who rigged the corpses of criminals to their electrical machines and made them writhe and dance. Fast-forwarding to the end of the nineteenth century, another fictitious scientist emerges to become almost as famous as his Swiss predecessor: Doctor Jekyll and his alter-ego Mr Hyde. Victorian London was a dark, gloomy place; it stank and it was covered with a thick fog in which lurked hundreds of criminals. So high was the crime-rate in fact that a new branch of biological science was founded, that of Criminology. Following on from Darwin’s theory of evolution, scientists asked themselves whether criminals were closer to the animal kingdom than other humans and worried that a beast lurked inside all humans waiting to break out. With a chemical concoction, Dr Jekyll can call up his inner beast, Mr Hyde, whenever he wants – but sending him away again proves more difficult. Scientific discoveries raise hundreds of ethical questions and it is often authors at the forefront of these discussions. Horror stories are exciting but the best ones scare us because they ask the question “What if?” From Doctor Moreau, genetically modifying humans on his secret island, to anatomists paying murderers to supply them daily with fresh corpses, there is a story for every uneasy thought we have ever had about science. We live in a connected world. If you’re reading this, you are one of those people who engage fairly well with technology and social media. Many years ago – of which the amount I won’t go into – when I was a child and young adult, the mobile phone wasn’t in existence and when it did emerge, it was as large as a house brick with an even larger battery that you had to carry around with it. How far we have come. Today you can’t walk down the street, go on the bus or the train, even walk in a shop or a restaurant without seeing people connecting with others by means of the phone in their hands. You see, not only have we surpassed the poor brick like phone where you could do nothing more than make a call, many of us now carry a small computer in our pockets. So when you see people hunched over their phones, it’s probably not even a text message they’re sending, they are more than likely connecting a lot wider than a one to one conversation, it’s probable that they’re talking on their social media sites. Because of science we can now carry a thousand books in a few millimetre thick hand-held device, we care share our love of books with people we would never otherwise have met, we can have discussions like this simply by sitting in our own homes and turning a device on. With the evolution of video conferencing scientists around the world no longer have to travel thousands of miles just to talk to each other. The social and the science truly has come a long way since the time of the house brick phone and battery. But for me, the ultimate in the social and the science blending together was the recent space station mission led by Canadian astronaut Commander Chris Hadfield. While on the International Space Station, Commander Hadfield not only live tweeted amazing photographs taken from aboard the space station, but he created some fantastic video’s and uploaded them to YouTube, including a video of him being interviewed by a classroom of school children. Can you imagine being one of those children and engaging this way for a science lesson?! One of the video’s I’ve watched is a live interview about the power of social media outreach. Please watch this short clip to see the power of social media and science at work. It is absolutely stunning. Rebecca works at a full time day job and is a mum, who uses her spare time to commit murder, while drinking copious amounts of tea. Without each of these things, the other could not possibly exist. The world does not spin without first having a cup of tea in a morning, never mind the complexities of rising, working and writing. 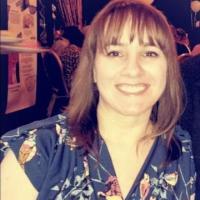 She is represented by Kate Nash of the Kate Nash Literary Agency and working on the revisions of her first crime novel, which has a working title of Shallow Waters and is set in Nottingham. The lead protagonist is a female DI. You will find a page on the blog Here, with photographs taken in and around Nottingham where the crime fiction novel series is to be set. Dan Thompson talks phobias – Yes, it’s science in fiction week! Yay! Science in Fiction week finally kicks off with Dan Thompson talking about phobias, something he knows lots about since he released his book about them: The Caseworker’s Memoirs. Take it away, Dan! Phobias are wonderful things … OK, maybe not wonderful for the people who suffer from them, but let’s face it, who doesn’t want to know more about koumpounophobia when it is mentioned to them? It’s the fear of buttons, by the way, which is absolutely extraordinary. But whether or not if the fear is weird and out there, or something as common as Arachnophobia, phobias remain an untouched area of psychology when it comes to literature. Psychology in fiction has seen some really good exposure in recent years, thanks to some unique viewpoints on behalf of the authors. Emma Donoghue’s Room is one such example. A novel told from the eyes of a young boy who lives his life inside of one room. What’s unique about this story however, is how the same story has different connotations depending on who looks at it. The room is all that the boy knows, and life is simple. His mother, who is also trapped inside of the room, on the other hand suffers from her ordeal at being held captive inside, whilst trying her utmost best to give her son some sort of life. 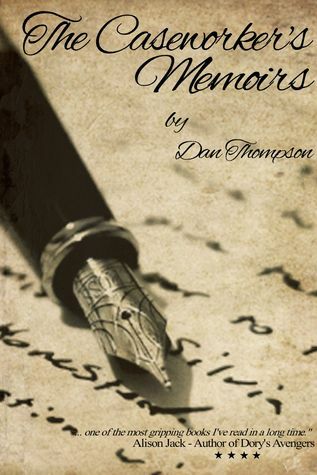 And although phobias are rare inside fiction today, it was my interest in how personal phobias are to the people who suffer from them, and yet seen in completely different light by somebody else, that fascinated me and spurred me on with writing my new release, The Caseworker’s Memoirs. Told through the eyes of Malcolm, a retired counsellor and recently widowed. He is a broken man, letting the world pass him by, until his daughter intervenes and gives him a leather-bound notebook. As Malcolm starts to write down his memories, he is troubled by the fears and phobias of the patients who he used to treat. This gave me a fantastic structure to include so many enthralling and intriguing fears. By delving deep into the psychology of these irrational fears, I was able to portray how different people respond to their fears. Candace Levine is a wonderful character, who has no choice but to fight her fear head on, for her life depends upon it. Neil Marshall is a successful author who cannot leave the house, and yet this situation allowed me to follow the dark path into depression and medication addiction. Understanding the current cultural and sociological issues that face us today is also a science, and one that gave me ample opportunity to explore through phobias too. Getting the right balance between suspense and intrigue was a battle I often fought with myself when I was writing The Caseworker’s Memoirs, and hopefully I’ve succeeded. As fears and phobias are psychological issues, it was important for me to write stories that the reader can understand themselves, and perhaps make them question their own fears and beliefs. For even the greatest of us are a little afraid of something – Alexander the Great was allegedly reported to suffer from Ailurophobia – the fear of cats. What’s your phobia? Dan Thompson lives in Gainsborough, Lincolnshire with his young daughter and his shabby dog, Skye. He is the author of the charity poetry book Life is All but a Vast Array of Colours and phobia novella The Caseworker’s Memoirs. His first full length novel, A YA fantasy entitled The Black Petal, is currently in the hands of his editor and will be available soon. 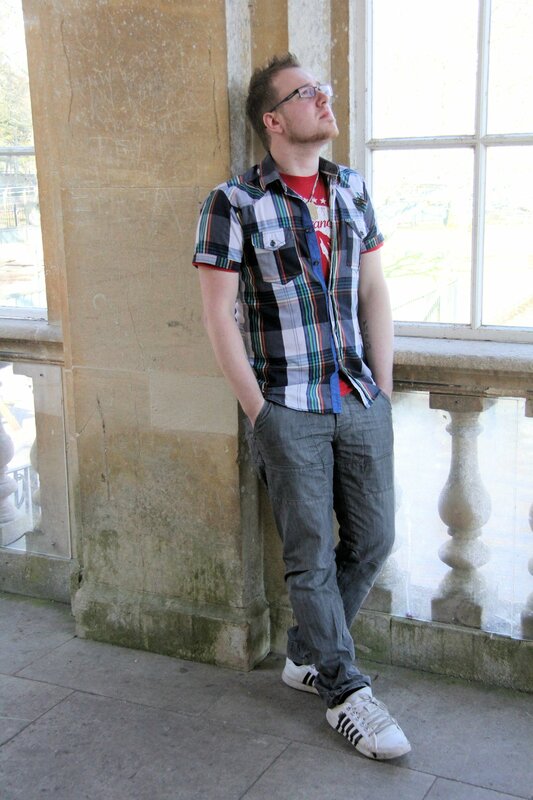 A lover of YA and fantasy fiction, you can often find him writing on his blog, writing book reviews and connecting online with other writer-type people. 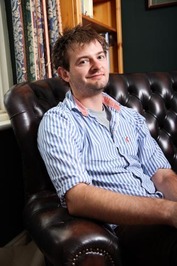 Dan grew up reading Enid Blyton’s The Famous Five series, secretly coming up with his own inventive adventures, and R.L Stine’s The Goosebump series, before turning to the works of Philip Pullman, Eoin Colfer and Marcus Sedgwick and slipping away into alternate realities. He also loves a good Historical Thriller too. The Caseworker’s Memoirs is available in both paperback and ebook from Amazon and Waterstones.